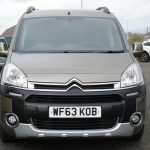 Another one of our popular Berlingos, this one has plenty to shout about as it has some ‘nice to have’ extras to make travelling around in this G M Coachworks converted WAV more enjoyable. 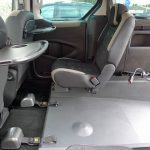 The two-piece, non slip ramp fitted at the rear provides the means to push a wheelchair or scooter into this wheelchair accessible vehicle with ease – a very generous width too at 31.5 inches. 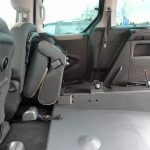 Once inside, the four point wheelchair restraints ensure that the wheelchair can be safely secured in the vehicle nice and tightly and you can view a demonstration of this by clicking on the ‘Advice’ button above and look under the section earmarked ‘How easy is it to use a WAV’. 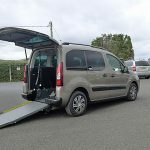 The safety belt simply wraps around the wheelchair user both diagonally and over the lap and slots into the belt stalk – ready for the off. 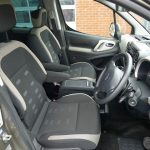 The wheelchair user has use of some back of seat trays, pockets and, as we hear quite often, the rear passenger seat can also double up as somewhere to place any essential equipment that may be required by the wheelchair user. 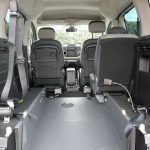 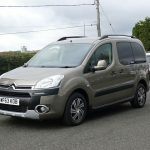 In addition, the back seat can also fold forwards and out of the way if extra space is required in the back – a well thought out conversion with the wheelchair user very much in mind. 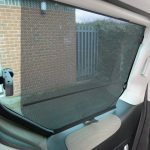 Along with the rear privacy windows, this WAV has window blinds so great for blocking out any unwanted glaring sunshine. 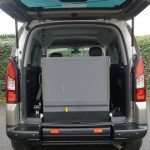 Plenty of storage to keep the vehicle nice and tidy and a vehicle that ticks all the boxes. 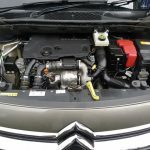 The 1.6 cc diesel engine and automatic gearbox combine economy and efficiency in this Citroen. 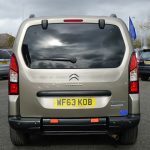 Cruise control and parking sensors are also something very useful to have and you can see a full list of features in the specification section included on this page. 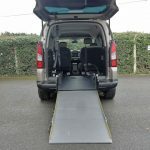 All of our quality wheelchair accessible vehicles come with 12 months MOT, 12 months warranty and are serviced and valeted in our own modern Service Department before being despatched to their new homes. 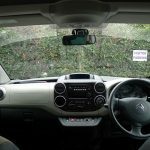 Our drivers will provide you with a full demonstration of how the adaptations work on arrival and delivery is, of course, free to UK Mainland addresses. 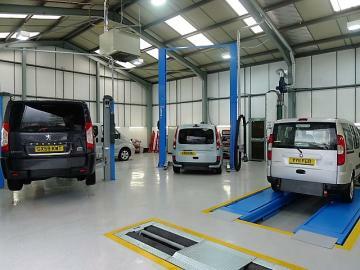 If you wish to speak to one of our experts, please call us on 01824 707773.